1955 built for Northern Steam Ship Company. 1971 sold to Coastal Cruising Company, Rotterdam. 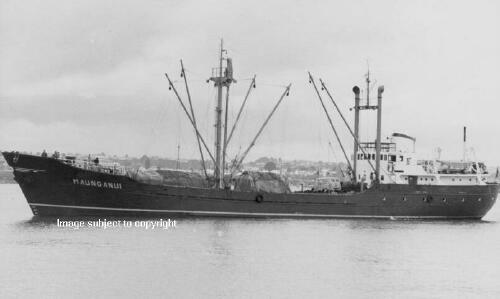 Renamed ZEEHAN and sailed for Australia February 1971. 1972 seized in Brisbane for non-payment of wages. Owners listed as Coastal Cruises Pty Ltd of Proserpine, Queensland. 1972 sold to Pacific International Lines of Singapore. 1994 owned and managed by Overseas Shipping Agents (OSA), Chittagong. 1996 sold to Marine and Marine Limited, Dhaka, Bangladesh. Named SALEEM. Employed carrying merchandise from Chittagong to various inland river ports in Bangladesh. 2003 engine becoming increasingly unreliable. Jan 2004 sold and broken up at Kadim Rasul, Kumira, Chittagong.